Sports park in Marana, AZ faces uncertain future ? MARANA, AZ – Pima County is trying to determine the future of one of its most popular parks, the Mike Jacob Sports Park at West Ina Road and Interstate 10 in Marana. It’s been the home to adult league softball, volleyball and flag football games and tournaments since 1983, but according to a Pima County Parks and Recreation study, tournament participation peaked in 2011 and has declined since. Still, the number of teams, according to the park operator, Championship Sports, LLC, is the highest its been in the seven years it has operated the facility. But signs of age abound as the facility has deteriorated from a lack of attention and financial investment. The county has suggested four options for the park of which three include a permanent or temporary shutdown. One is a permanent shutdown, which the county feels is the least desirable. Pima County Administrator Chuck Huckelberry will recommend to the board at its Dec. 13 meeting that the county use money received from the state to upgrade the park. The county received $1 million from the state for a land purchase necessary for the Ina Road bridge construction. He also wants to allow Championship Sports to continue operations on a month-to-month basis for six months until an RFP proposal can be used to find a permanent, single operator. At present, there are two operators which split the duties for scheduling, concessions and fee collection while the county performs maintenance. The county would like to pare that down to one operator that would also be willing to invest in infrastructure improvements. But complicating that, is the Ina Road bridge project which is scheduled to last another year and a half to two years. Entrance to the park is already limited because of construction but Ciurca says he’s seen no drop-off in people using the park. The other options require the park to close for a period of time while improvements are made. Still a fourth option is to allow Championship Sports continue operations, which it says it’s entitled to do. “The courts say we have four more one-year options,” Ciurca said. That would take it up to 2020. “We’re trying to find some solutions and viable options to keep the park open,” he said. New $9.7M Sports Park Wows Residents ! Kevin Cain stood on the second-story observation deck during the opening day celebration for Rosetta Canyon Sports Park on Nov. 4 and took a look around. Cain was one of several hundred people who showed up at the city-sponsored event to get a first look at the 21-acre park, which was scheduled to open to the public last weekend. The park features five tournament fields geared toward softball and youth baseball – all with synthetic turf, a rarity for baseball-softball fields in the region. The ballfields, complete with lights, are arranged in a circle around the observation deck, which is built above the concession stand to allow coaches, scouts and fans to view multiple games. “I’m a huge baseball fan, so to be able to stand in one spot and see four games going on is wonderful,” Cain said. In addition, the park has a full-sized football and soccer field with synthetic turf. Cain was elated to see the facilities appeared to meet Americans with Disability Act standards. “I have a daughter in a wheelchair, and everything looks accessible,” he said. Also taking in the view were several Temescal Canyon High School students, including Russell Carrillo, who was more excited about the soccer field. Though the sports facility is new, it was built on an existing park site that was only partially completed. Eight acres of the 22-acre site were constructed as a park, and the rest remained vacant. 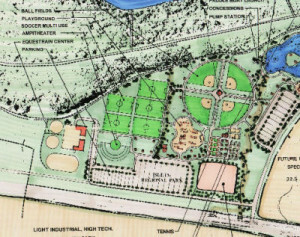 When city officials planned the expansion, they decided to strive for a venue a cut above typical parks with athletic fields. The $9.7 million park was designed to standards that will attract regional and national tournaments. Already, City Manager Grant Yates said, the city has struck verbal agreements with tournament organizers to stage events. Much of the inspiration came from the city’s finance director, Jason Simpson, who is heavily involved in the softball community. 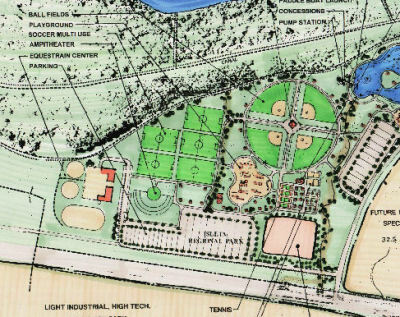 According to Lakeside High School Athletic Director David Drake, whose daughter plays on a fast-pitch travel team, the design is ideal and similar to state-of-the-art parks in Orange County. Check Out The SODA National Insurance Program ! Wide Ranging Coverage Of Amateur Sports (16) plus Sports Officials, Facilities, Events, Tournaments, Clinics, Camps, Municipalities, Sponsors and more . . . . . . . Check out the “Mound & Home Plate Care” module at Groundskeeper U to learn proper maintenance of mound & home plate areas. Straight field lines can be a real challenge — unless you’re using our Pro Cord String Winder. It’s strong, but still stretchy enough to really snap a straight line.. Exclusive Pro Cord String Winder: use cord10 during checkout (offer valid thru Nov. 20). Porous batter’s box mats that are safe to use with plastic, rubber or metal spikes. Also, buy five mats and you’ll save an additional $100! Exclusive Porous Rubber Batter’s Box Mats: use porous10 during checkout (offer valid thru Nov. 20). Lake Wylie voters say let’s play ball, vote yes for recreation tax district ! LAKE WYLIE, SC – It wasn’t a landslide, but Lake Wylie residents voted decisively to start a new recreation tax aimed at bringing a sports park to the area. With all 11 precincts reporting Tuesday night, votes for the new tax led by almost 1,846 ballots. The approval rate reached 58 percent. All results are unofficial until certified by the county. The special recreation tax district is a critical step in funding a new sports park in Lake Wylie. Tuesday’s vote should create enough revenue to fund an up to $7 million capital investment for a sports complex on county owned land along Crowders Creek. It would provide operations money for the park, too. By initiating the recreation tax, park planners guaranteed another $2.45 million in county hospitality tax money toward the project. Voters were mixed at the polls with some saying they voted no because of a tax increase, while others said the area needs it. Julia Cienfuegos, 36, of Clover agreed a park is needed in the Lake Wylie area. She has children in Lake Wylie Athletic Association sports. Plans for the 50 acres, plus 18 nearby, at 5668 Charlotte Highway include three baseball/softball fields and three multipurpose fields mainly for soccer, lacrosse and football, tennis and basketball courts, an 18-hole disc golf course, playground, picnic shelter, walking trails, a dog park and more. The land, 68 acres, was donated to York County in 2007, spurring plans for a park. Five past and present York County Council members representing Dist. 2 have supported the efforts of residents who have worked voluntarily to bring the park to fruition. The tax district will be charged only in the Lake Wylie area where voters approved it. The county hospitality tax money, separate from the new recreation tax but allocated with the condition of residents taxing themselves, comes from a 2 percent charge on food and drink in unincorporated areas. The recreation tax cost to taxpayers would be $20 per $100,000 in value for homeowners, and $30 per $100,000 for businesses and rentals, planners say. Concessions, park signage, pavers and other fundraisers are to be escrowed for future field refurbishment and other needs, according to Lake Wylie Sportsplex committee members. When you’re nail dragging your infield skin, make sure you stay away from the turf edge and remember to corner slowly. It’s also important to stay at least 6″ away from from the turf edge. Dragging too close with your tractor can push material unnecessarily into the turf edge, creating a lip. The same is true for cornering too fast with your tractor — you’ll have less control and more material will be tossed into the turf edge forming a lip over time. For more information about scarifying your infield, checkout the Scarifying the Infield Skin lesson at GroundskeeperU.com. Or, click here to watch a video demonstration of nail dragging. The best scarifying tool. Ideal for working the baselines, cutouts and home plate areas. Exclusive Beacon X-Drag Hand Nail Drag (only): use x10 during checkout (offer valid thru Nov. 13). Great general purpose broom, ideal for concrete floors. Combination of soft outside bristles with stiff inside bristles. 60″ ergonomic aluminum handle. Exclusive Duo Broom: use db10 during checkout (offer valid thru Nov. 13). Elevator issues at El Paso County Sportspark ? EL PASO, Texas – The long-suffering El Paso County Sportspark finally opened earlier this year after lengthy delays from contractor disputes and more. But now there may be problems with a particular important part of the facility. The Sportspark has been re-opened for about six months now, after finally completing all of the improvements and renovations like the big central clubhouse structure with the restaurant and pro shop in the middle of the four fields closest to the entrance. And commissioners say that there have been some issues that they have been hearing about with some of the improvements. ABC-7 followed up with Leon after first bringing up the concerns. He said that there were repairs going on now, but that in the long run he’s looking at better signage to let people know what the elevator is for and to prevent misuse. The Sportspark re-opened in April of this year after about 4 years of delays and contractor issues holding it back. ASA/USA Softball Complex Of The Year 2016 ! Armstrong Park in New Jersey wins the 2016 ASA/USA Softball Complex of the Year presented by Stabilizer Solutions ! OKLAHOMA CITY, OK — A history of hosting top-notch New Jersey ASA/USA Softball events has helped land Armstrong Park in Ewing, N.J. the 2016 Amateur Softball Association (ASA)/USA Softball Complex of the Year presented by Stabilizer Solutions, Inc. Armstrong Park, operated by the Township of Ewing Recreation Department, will receive their award at the 85th ASA/USA Softball Annual Council Meeting in Shreveport, La. and will also receive approximately $2,000 in field maintenance products from Stabilizer Solutions. Previous award winners include Tyger River Park (Spartanburg, S.C.) in 2015, Arrowhead Park (Broken Arrow, Okla.) in 2014, Charlie McVay Complex (Roswell, N.M.) in 2013, the Botetourt Sports Complex (Botetourt County, Va.) in 2012, the James I. Moyer Sports Complex (Salem, Va.) in 2011, Veterans Park and Athletic Complex (College Station, Texas) in 2010, Heritage Park Softball Complex (St. Joseph, Mo.) in 2009, Twin Creeks Softball Complex (Woodstock, Ga.) in 2008 and Freedom Ridge Park Complex (Ridgeland, Miss.) in 2007. The Field of Dreams Complex (Las Cruces, N.M.) won the inaugural 2006 award. Named after former seven-term Ewing Mayor C. Wesley Armstrong, Armstrong Park is home to three youth and two adult softball fields while also housing a t-ball field. With amenities such as bullpens for pitchers and catchers to warm up, outdoor batting cages and a press box for game day operations, Armstrong Park hosts a variety of events annually. In 2015, the USA Softball Women’s National Team held a tour stop at the park, where a packed crowd of over 3,735 fans enjoyed a doubleheader as the U.S. faced off against the New Jersey All-Stars. In 2016, Armstrong Park was the site of the Region 2 Qualifier for the 2016 ASA/USA Softball 14-Under Class A and Class B National Championship. Armstrong Park also hosted several elite youth fast pitch and adult slow pitch tournaments while also hosting the New Jersey Special Olympics Tournament in September. In addition to tournament play, Armstrong Park also holds weekly men’s and co-ed slow pitch leagues. Founded in 1933, the Amateur Softball Association (ASA)/USA Softball is the National Governing Body of Softball in the United States and a member of the United States Olympic Committee. One of the nation’s largest sports organizations, ASA/USA Softball sanctions competition in every state through a network of 70 local associations and has grown from a few hundred teams in the early days to over 150,000 teams today, representing a membership of more than two million. ASA/USA Softball is responsible for training, equipping and promoting the six USA Softball National Teams that compete in international and domestic competitions. The USA Softball Women’s National Team is one of only two women’s sports involved in the Olympic movement to capture three consecutive gold medals at the Olympic Games since 1996. The U.S. women have also won 10 World Championship titles as well as claimed eight World Cup of Softball titles. For more information about ASA/USA Softball, please visit http://www.asausasoftball.com/.